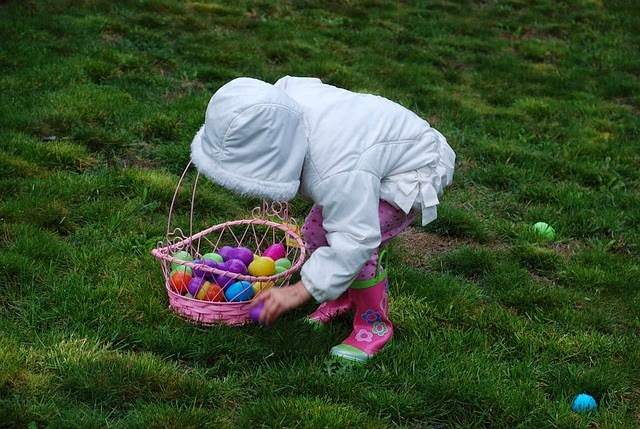 Camping at Easter: go on a night time egg hunt! Are you camping at Easter? If you are, and you have children with you, here's a camping idea that the kids will love to do around the campsite at night. It's easy and you can get everything you need at a supermarket or one of those $2 shops that are around the place. An Easter Egg hunt at night! Snap the glowsticks to activate, and put one in each egg mould. Then you hide the eggs and let the kids run around the camp area, and see which one finds the most. As an additional incentive, put a small solid egg inside - that way the kids get the glowstick and a chocolate! And come Easter Sunday, these plastic eggs are a great way to hide more chocolate eggs around the campsite. We (or should I say, the Easter Bunny) fill the plastic eggs with smaller chocolate eggs the night before, and know that during the night, no animals or bugs have got to the chocolate! Children love the Easter Egg Hunt in the morning, and are impressed by the Bunny's ingenuity too! Want more tips about Easter camping - then we have more ideas for you. Or try this campfire recipe - Easter S'Mores.